Since I'm still playing catchup from the busy weekend with orders, housework, and emails on this dark, rainy day with nothing new to share, unless you want to see more Birthday Crowns, I thought I'd brighten things up a bit with a sunny Aurifil Giveaway! 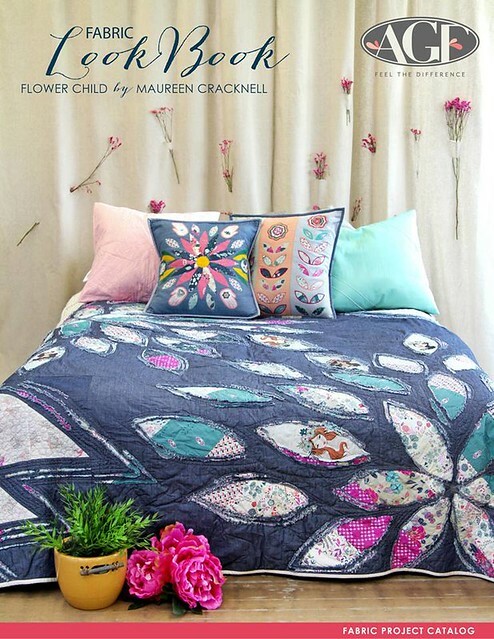 The summery pair of pillows I recently made for Love Patchwork & Quilting's newest Issue 8 just arrived back to me with an early copy! 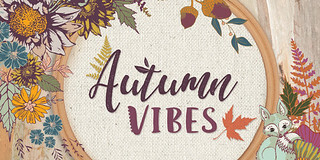 The happy duo features Bonnie's Sweet As Honey collection, with a couple Chromatics, a Reminisce floral, Squared Element in Lemon, and a Tule Folklore added to the mix! 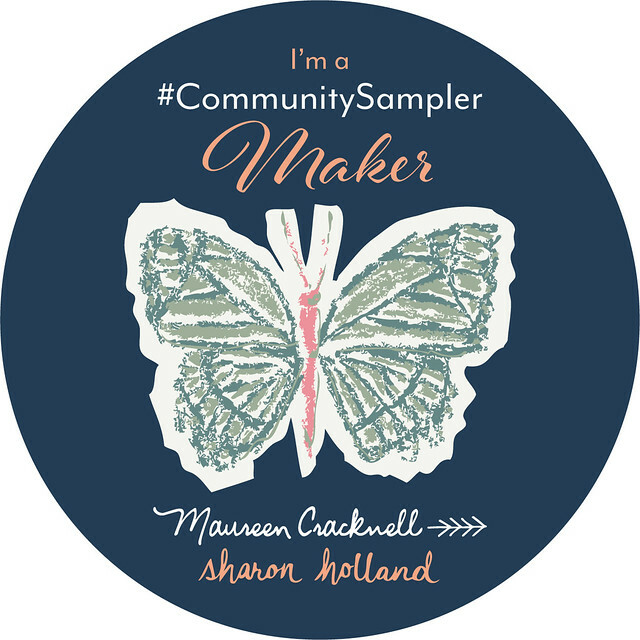 Seeing my work in print is so exciting, so why not celebrate the honor with a Giveaway! 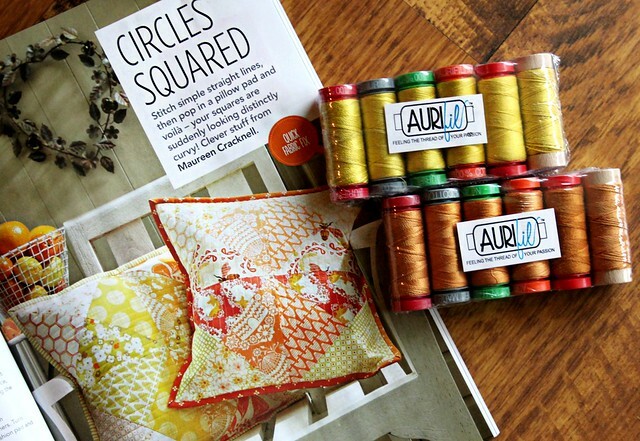 Aurifil is so kind to periodically sponsor me with thread to use in my own projects and to share here in the occasional Giveaway. They are very aware that it's my favorite! I enjoy experimenting with colorful thread and love what it adds to my projects! 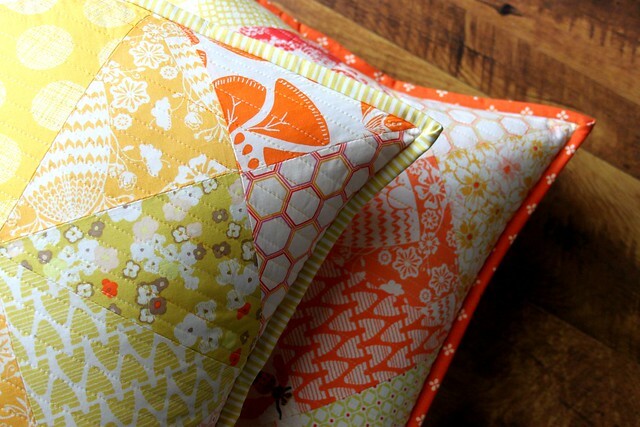 For these pillows I used a variegated 50wt spool in a mix of yellows and oranges for my straight line quilting. 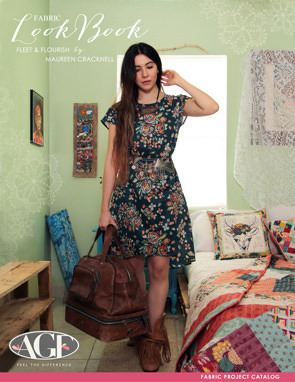 Such a beautiful combo when paired with such cheerful fabrics! 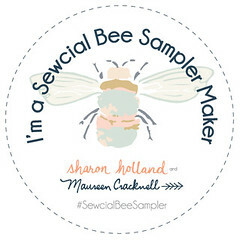 Today I'm happy to offer two sampler packs of Aurifil's wonderful threads!! 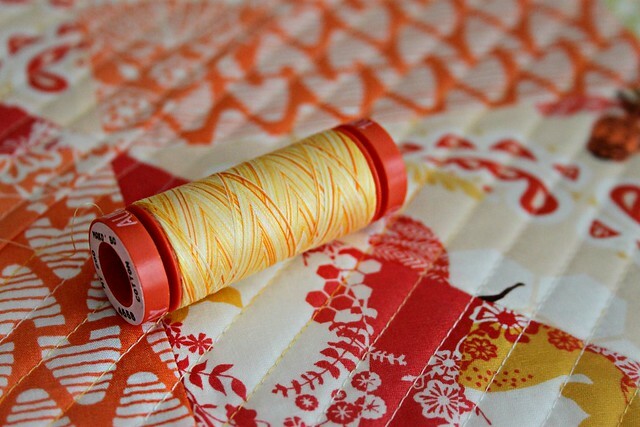 Each contains SIX colorful spools in a variety of weights, one in yellows and one in oranges! There will be TWO winners this time, one will receive the sampler of yellows and the other winner the oranges! That’s 4 possible entries! Enter now through Monday, May 26th!! Winner will be picked at Random and I will announce their name at the bottom of this post, here on the blog! Comment #994 -- * tammi * -- for the yellow threads! Comment #385 -- * Donna W * -- for the orange threads! I believe you can never have too many thread choices! entry number one and I love their thread as well I have a big spool of it that I am using for a couple of projects. We need these summery colors right now! 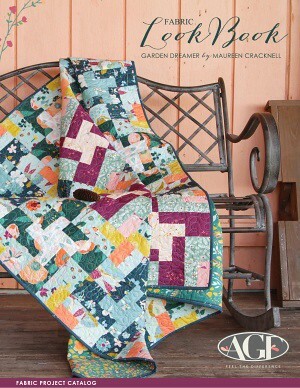 I already follow Aurifil and now Love Patchwork & Quilting on FB. I am a long time follower of yours on FB. Your pillows are delightful! Congratulations on being published again! 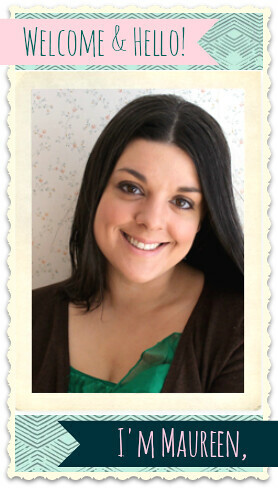 Thanks for the chance to win Aurifil! 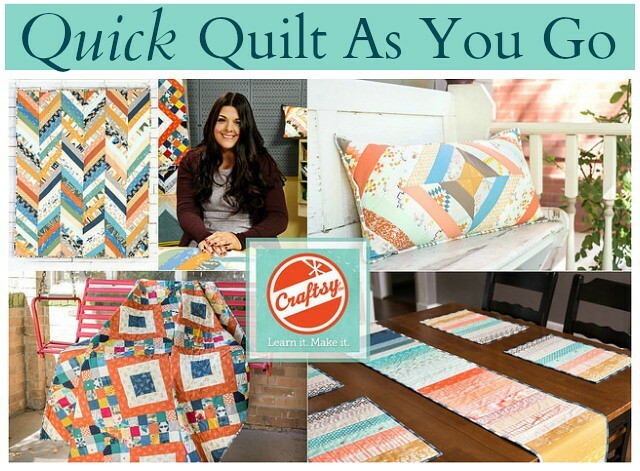 I follow Aurifil and Love Patchwork and Quilting and love these colors and pattern. Nice giveaway! 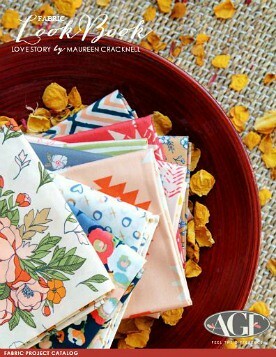 I follow Aurifil on Facebook and Bloglovin. I would love some thread! I'm a happy follower of yours, on Facebook and Bloglovin! 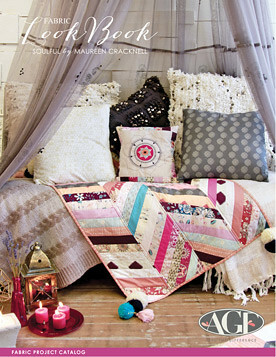 I follow Aurifil and love patchwork and quilting mag on FB. I follow Aurifil on Facebook. I follow you on all channels. anndddd I follow your blog as well. I would love some thread! Thanks for the chance. I shared on Facebook! Thanks again. that is some beautiful thread....I like the pillows too! Oh, I'd love to win this! Here's my comment - beautiful! I always want to see just one more birthday crown!! Please!! The pillows are beautiful. I love your fb page posts. Your points and corners are PERFECT on the pillows! And "sunny" is the word :) They are fabulous. The thread is delicious!!! I follow Aurifil threads and Patchwork Quilting on FB. YAY! Lovely pillows! I just love the vibrant colors. Thanks for the chance to win. Orange would be my first pick, but I would love either color. I already follow Aurifil and LP&Q on fb. I have been following Aurofil for a long time. Love to sew with the thread. Their thread is just dreamy, my Janome machine's think so too! Thanks for such a great giveaway! I follow you on FB. Thanks for the wonderful posts. I've started using Aurifil for a while now but haven't tried the different weights...that would be an awesome win! Love that magazine, congrats on the publish. I am just starting to purchase and use Aurifil and I'm loving it! Thanks for the giveaway, I just started using Aurifill thread, love it! 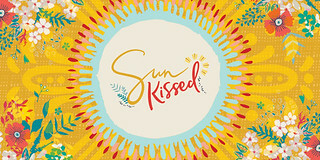 Yay, what a fabulous summery giveaway -- thank you! 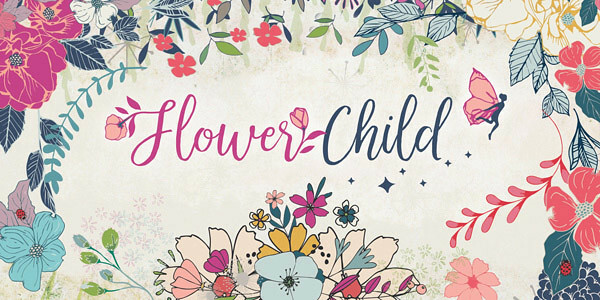 I follow this blog on Bloglovin'! Cute pillows! I think the straight-line quilting makes them extra cute. What a great giveaway! I just tried Aurifil and love it. 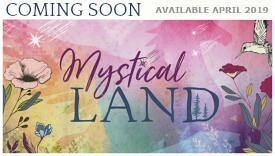 And those colors are so fun and bright! Love the pillows and I love Aurifil thread for piecing. I'm a follower of Aurifil on Facebook. I like Aurifil on Facebook. 4. I shared on FB. The pillows and the threads are beautiful! I'm one of your followers - always look forward to seeing your creations. lovely pillows and lovely threads! 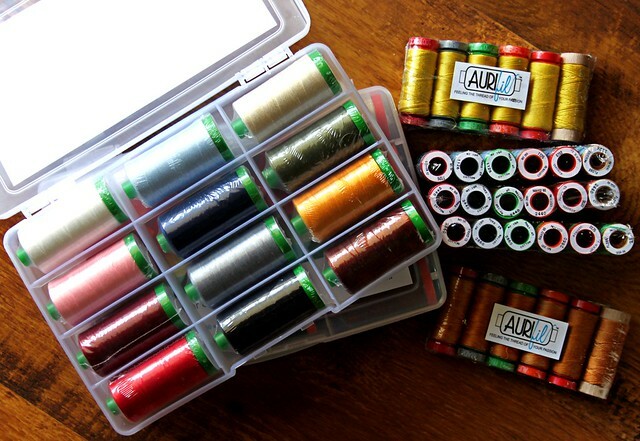 Love Aurifil thread. Thanks for the chance to win. 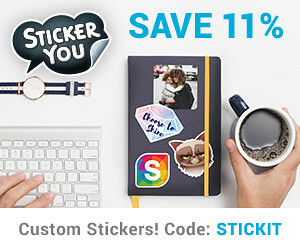 Oh, this is a fabulous giveaway! Orange is one of my biggest favorite colors! And since yellow is close, it is perfect too! Thank you for a chance to win. Such bright and happy colors! 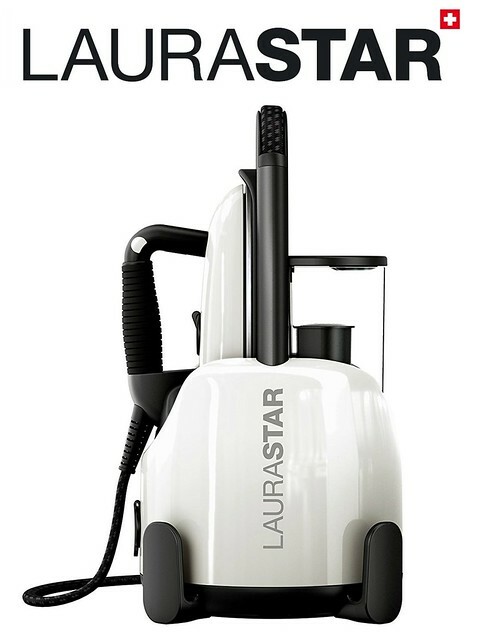 i only use aurfil and follow your blog. I liked aurfil. 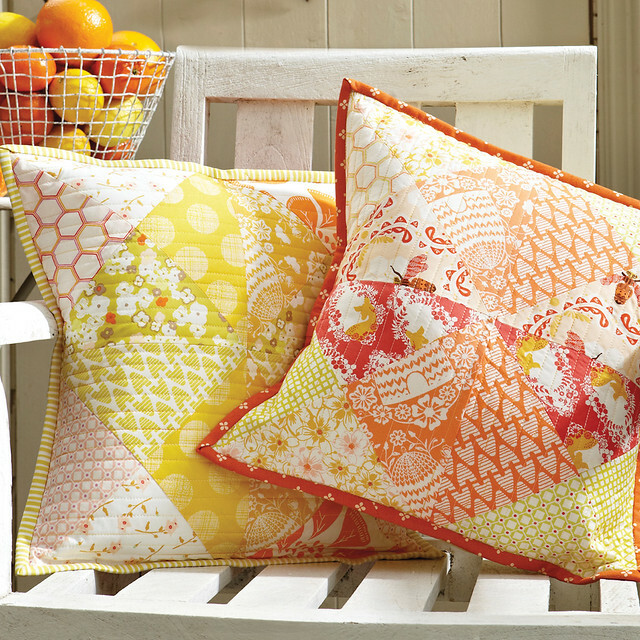 I LOVE these cheery pillows...and especially the quilting on them...perfection. 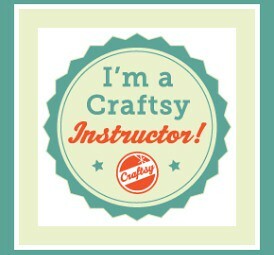 I follow Aurifil and Love Patchwork and Quilting on Facebook! I follow you on FaceBook!!! - Thanks so much for chance to win!!! I follow you on Facebook and Instagra! 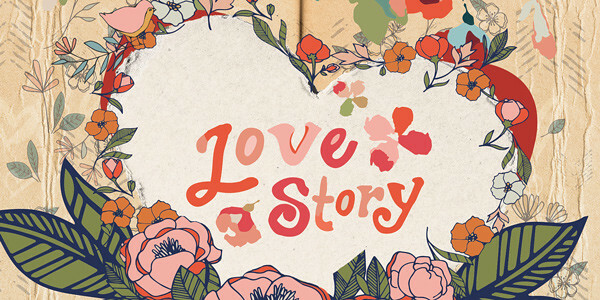 I LOVE your work!!! 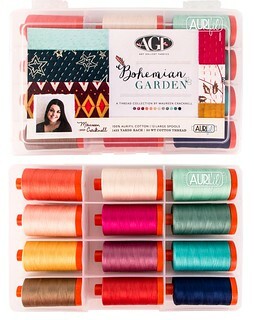 I have never used Aurifil thread but it's beautiful and I need to find some as I'm loving the colors. How fun, bright and cheery your pillows are! 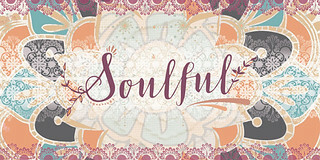 I follow Love Patchwork & Quilting, as well as Aurifil, on FB under Jonquil Alexia. 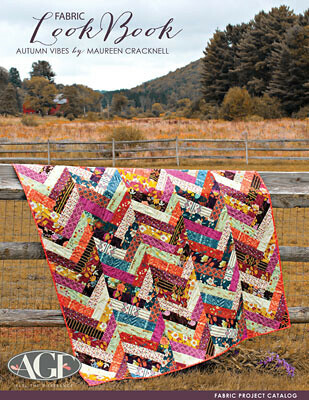 I follow Aurifil on FB and Love, Patchwork too. Sunny colours is exactly right. I love the yellows and oranges. I love, LOVE Aurifil. It helped my quilting go from pretty good to awesome. I have so many fewer issues with it! I follow Patwork and Quilting on FB. I follow Aurifil pretty much everywhere, including FB! 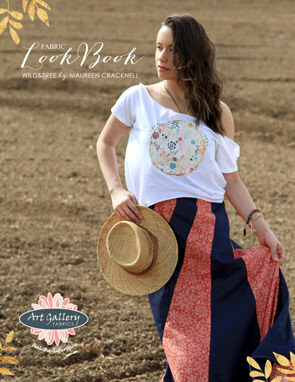 Also follow Love Patchwork on FB. I like both Aurifil and Patchwork and Quilting on Facebook. Some of my favorite colors -- love happy colors! I have never tried Aurifill, but would love to start. I follow Aurifill on Facebook. I follow both Aurifil and Love Patchwork and Quilting on fb. I love Aurifil! Great pillows. 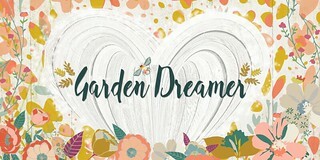 I follow you via fb and Bloglovin'. I can never find the right yellow, golds, and oranges so I would love to win a happy thread packs. You always have such good giveaways!! 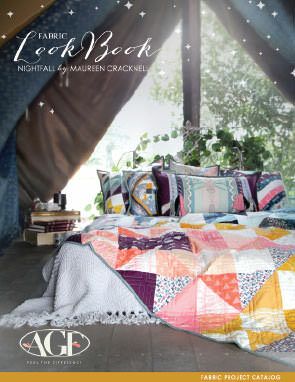 I like Lve Patchwork and Quilting and Aurifil on Facebook. 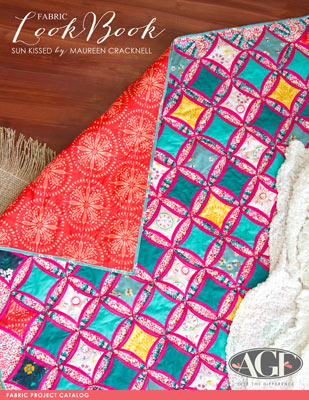 I 'like' Aurifil and Love Patchwork and Quilting on Facebook. I follow you on Facebook. I look forward to your posts. I've been following your blog. I also follow your blog, IG, and FB. I love seeing what you create!! OOooohhhhh, I've just gotta get me some Aurifil ! I've never tried it and would love to win so I can play too! Thanks for the chance! I love the colors of your pillows! I follow Aurifil on FB. dreary and rainy here too so it is nice to see all that sunshine in your fabric and thread choices. i was drooling the instant i saw this on my bloglovin' feed......gorgeous!! !